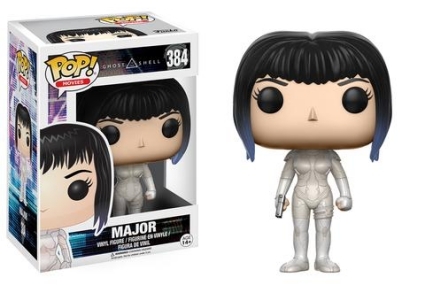 Funko Pop Ghost in the Shell adds more vinyl figures to the Pop! Movies line in honor of the live-action movie. The debut release features iconic characters from the 2017 cyberpunk film. First introduced to readers in the 1989 manga series, Ghost in the Shell has gained a loyal following with the production of several anime adaptions. 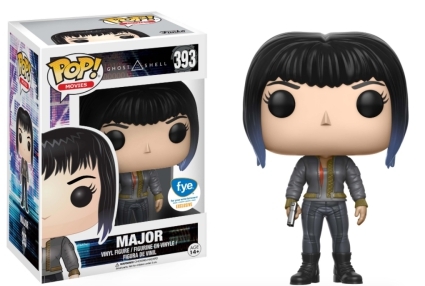 Starring Scarlett Johansson as The Major, the live-action characters receive the Pop! treatment while maintaining the unique GITS look. Shop for Ghost in the Shell Anime DVD/Blu-Ray options on Amazon. 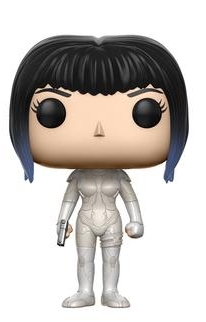 Funko Pop Ghost in the Shell features Major in the thermoptic suit with her signature blue-tipped, short hairstyle and holding the thermoptic pistol. The Major wearing a black jacket is issued through FYE. 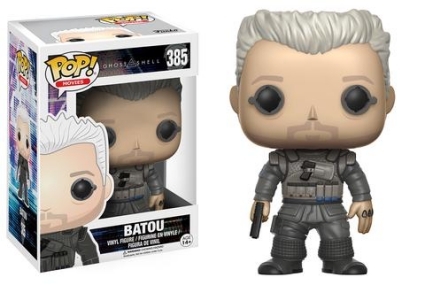 Batou, Major’s second in command, has a crew cut and dons a charcoal gray suit with a pistol pocket on his chest. 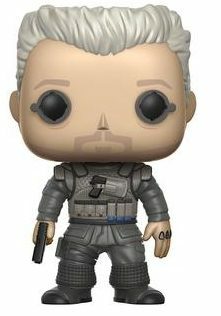 In addition, the figure includes his famous cybernetic eye attachments while the tattoos on his knuckles are also visible. 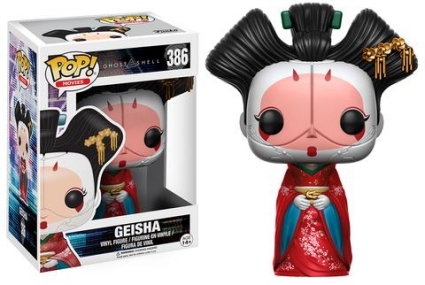 Lastly, fans and collectors of Ghost in the Shell can find a Geisha figure complete with white face paint, rolled and pinned up hair, and a red, traditional robe. Standing approximately 3 3/4” tall, Funko Pop Ghost in the Shell vinyl figures are officially numbered as part of Pop! Movies. Click on the images or listings below to shop on Amazon.